I haven't read any books again for this week as I decided to save Les Miserable for a holiday and started another one which I don't think will live up to all the wonderful reviews but I'll just have to wait and see as I'm only a little way through. I thought I'd share a wish list with you of books I'd love to read but are either not yet available on the kindle or are too expensive just yet.... in some cases its just because I haven't got around to looking them up. 5. All of Shakespeares Plays and Sonnets... the only one I've read to death is Macbeth when I had to study it. 6. Roald Dahl adult books, I've read the children ones and love them but what are the adult ones like... so curious! 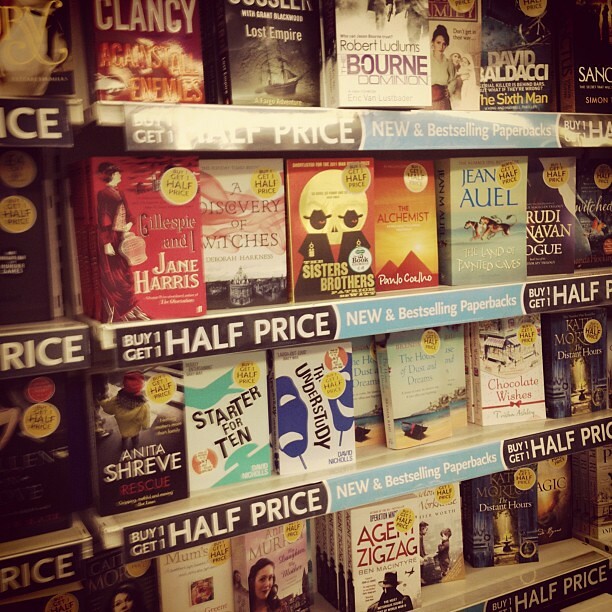 There are some titles above that sound interesting tooo..
What books would you really like? I've read three of the books in your wishlist- To Kill a Mockingbird, Lord of The Rings and The Chronicles of Narnia and I love all of them. Well, maybe not much on the second book but it's ok too. I'm also curious about the adult books by Roald Dahl. He's one of my favourites too. Anyway, I wanted to read 'The Other Boleyn Girl' and any books about WWII. Its good to know that they are good books, maybe one day I'll get around to buying them to read. I know if I borrow them I won't complete them in the set time. I hope that they will be great as sometimes books are quite hyped up. Do you know if we can swap Kindle books? Because I have got and already read The Help on my Kindle (and plan a blog entry about it soon). Unfortunately you can't swap kindle books, if anything some have a license for sharing your kindle to read books but thats up to me what I do with it. I know they have a kindle library service but you still have to pay for the books so whats the point, might as well continue spending 99p and keeping it. Some of the books that you mentioned are on my bookshelf as well and I still have to read them. The reviews for The Happiness Project are so missed but I was drawn by the cover originally and it sounded quite interesting but its also very expensive at the moment. I can't wait to buy a journal to wreck as it sounds so much fun and I looked at some entries which makes it all that more tempting.